Fashion retailer Boohoo.com has signed as one of the first partners of new brand 'Vlog Star', which will create products and events to help train and mentor a new generation of vlogging stars. Vlog Star was launched last night at an event in London alongside Boohoo.com, which has signed as official fashion partner of the brand and Pop Shack, which signed as a music community partner. Vlog Star is also in talks with brands to partner in other popular vlogging verticals such as gaming and beauty. Vlog Star is the brainchild of Cult LDN founder and Marketing Digital Maverick Bridey-Rae Lipscome and entrepteneur Clive Reid. The brand will include a series of products on Amazon that will guide budding vloggers through the basics, an app which will update with the latest news about vloggers and live events, the first of which will take place at the O2 in London on 14 November. Richard Clark, marketing director at Boohoo.com, said grassroots support of vlogger talent was appealing to the brand, despite having already worked with mainstream YouTuber talent such as Zoella. "Through instinct, not to mention a foundation of data, we also realise how influential bloggers and vloggers are for the boohoo community. With this in mind, we would like to help support the next wave of vloggers and help give them the skills to make their platforms a success," he said. 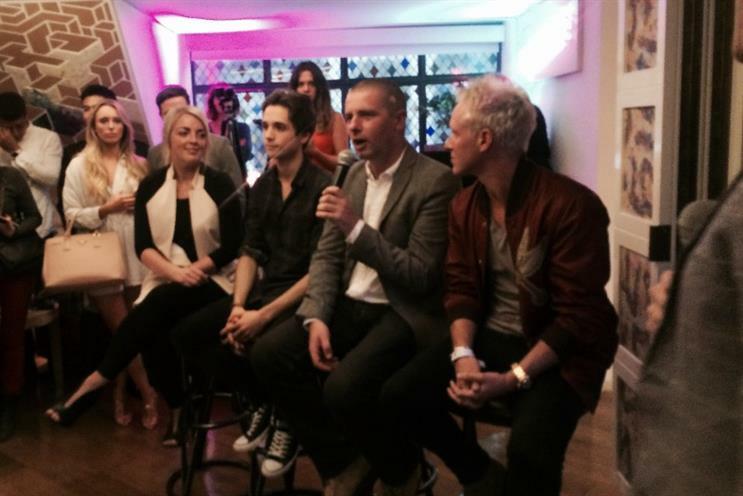 Speaking to Marketing at the launch event, in which both Clark and Lipscome spoke on a panel alongside Made In Chelsea TV star and vlogger Jamie Laing, a key theme was credibility. According to Clark, Boohoo.com selects its blogger talent carefully. "Vloggers are already an important component of our customer contact strategy. We are very selective of the vloggers we work with. It's essential we maintain credibility and only work with people that our customers feel add something to their lives." Lipscome also added that while many brands are very keen to work with vloggers, the brands they are selecting to partner with need to be open to being "transparent" with Vlog Star event attendees so that enough of a value exchange takes place. And what advice would Clark give other brands looking to work with vloggers? "Brands need to remember who they are, what they stand for and what their audience wants. If they consider these aspects when engaging with vloggers then there is no reason to enter the arena with fear or trepidation."